Having considered the accepted definition of a mine, let us now extend our reasoning a little and inquire just what is meant by mining. At first thought, one would say that mining is, in a broad sense, the art or practice of excavating, at a profit, the ores of metals, the beds of coal, the gravels of placers and the deposits containing precious stones. Are we justified in letting this definition stand as it is? If we do not make any change, we must exclude all quarries, sand banks, clay pits, and the numerous sorts of works that are producing the non-metallic minerals of commerce. Very well, since we find good usage will warrant us, we will do so. Still, there are other pertinent questions arising. Does the practice of mining cover the treatment of the excavated products? Here we run across a mooted point. The British and the American uses of the word mining seem to be a bit different in this regard. Upon the Rand, South Africa, a territory dominated by Englishmen, every mine is equipped with its own mill, and all notions of mining cover the inseparable idea of local ore treatment. Here, in our country, there are many, many mines which have absolutely no means of treating their own products and the managers give no thought whatever to metallurgical or milling lines. There are, on the other hand, many companies that have erected private plants at their mines for the extraction of metallic contents from the ores. Here it may, or it may not, happen that the operations of mining are considered as distinct from those of treatment. In some instances, as at the Tonopah Mining Company's plants, there is separate superintendence of the milling and the mining; but in the Joplin, Missouri, zinc region one superintendent looks after the running of a mine and its omnipresent mill. There may be drawn a sharp distinction between what is really mining and what is the subsequent treatment of the ores for the extraction of values. The latter field is denoted Metallurgy when the operations are of such a nature as to actually recover or extract metallic products or metals. If the treatment process has for its object merely the rejection of some of the worthless materials in the original ore, thus causing a concentration of the valuable minerals, but without actually obtaining any metal, then the term Ore Dressing is warranted. At some mines, there is maintained a practice of culling out, often by hand, a certain percentage of the obviously worthless ingredients of the ore before shipping the products to treatment plants. This is neither milling, metallurgy, nor ore dressing, but is more properly called Sorting. 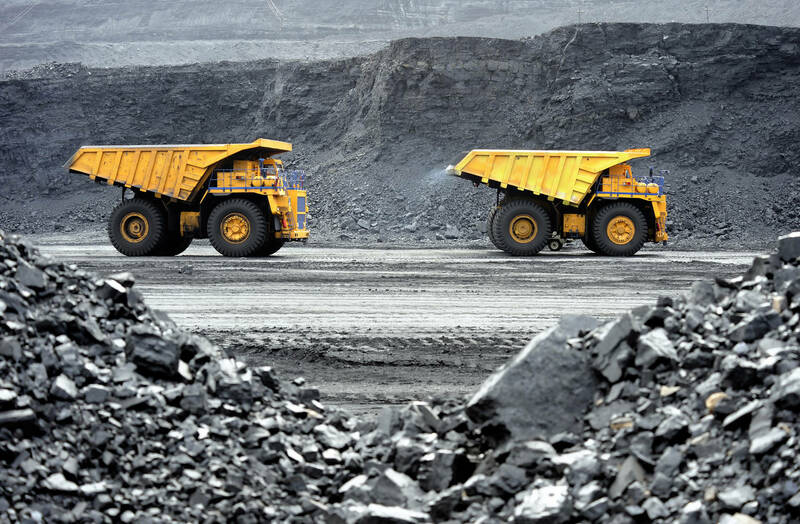 It is one of the operations connected with mining. Milling may be either ore dressing or metallurgy. In the operations of placering, there is a simultaneous excavation of a deposit and an extraction of the valuable contents. In this case, shall we call the process mining or metallurgy? If it is a gold placer, one may see the recovery of the metallic values. Here, the usage of the majority of practical mining men will uphold us in always speaking of the work as mining. In its original significance and use, metallurgy involved the use of fire for the concentration and recovery of metals. With recent advances in chemistry, there have been numerous discoveries of wet or fireless methods for arriving at equivalent results, so that it is now perfectly proper to allow the word metallurgy to cover such processes as cyanidation, chlorination, electrolysis, and the host of new inventions that are continually appearing. The writer has consulted a number of authorities on mining lines to ascertain just what sort of a position to give to the practice of ore dressing. Prof. Robert H. Richards, the head of the mining department in the Massachusetts Institute of Technology, and the inventor of machines which have made him famous among mining men, says, "Ore dressing is an essential part of mining. The whole object of ore dressing is to remove gangue before shipment and so save in freight and treatment charges." Mr. A. G. Charleton, the eminent English mining engineer and author of numerous books, in discussing this question, writes, "Personally, I am of the opinion that ore dressing should be included in mining." One has but to look through the catalogues of most of the American and foreign mining schools to find that little or no line is drawn between the courses in mining and metallurgy, and almost universally the dressing of a mine's product is taken up as an inseparable part of mining. In a very few exceptions, the courses of study are so planned as to draw an imaginary line between mining and metallurgy, and in these instances, ore dressing is placed with metallurgy only for convenience in the use and arrangement of college laboratories. But, since it is a common practice for mining companies to install plants right at the mines for the purpose of diminishing the bulk of ore shipped and to thus save in freight and custom treatment charges, mine superintendents and even the common miners have become accustomed to thinking of such plants as but units of the "mining" plants. At bituminous and anthracite mines whose products contain objectionable amounts of impurities, it is a common practice to subject the output to a Washing to remove the deleterious substances before shipment to the market. In view, then, of these reasons, it is proper to decide that mining is a term broad enough to cover the operations of extracting coal and metallic ores from the ground and of preparing them for shipment or metallurgical treatment. Coal is always coal, no matter in what thickness of deposit it is found. It may not be minable coal because in thin seams or because so intercalated with layers of slate or "bone," that the mine's mixture, or so-called "run of mine," is not salable. But with metallic ores, we run across an idea that is occupying the attention of many prominent geologists and mining men. Ore is a natural aggregation of one or more minerals from which useful metal may be profitably extracted. There is, then, no such thing as "pay ore" or "non-pay ore," expressions still quite common among miners and prospectors of the uneducated types. Prof. James F. Kemp, probably America's best-posted writer upon the subject, in an attempt to formulate one acceptable and unchangeable meaning for the word ore, says, "In its technical sense, an ore is a metalliferous mineral or an aggregate of such minerals, more or less mixed with gangue, and capable of being won and treated at a profit. The test of yielding the metal or metals at a profit seems to me, in the last analysis, the only feasible one to employ." This definition eliminates one of the weak points in the first definition, namely, that an ore must be an association of minerals: there are some common ores (as for example, magnetite) which are not associations, but single minerals. We now reach certain fundamental concepts which must be accepted by the mining man who desires to be recognized as abreast of modern ideas. Following the publication of Kemp's definition of ore, there was much comment—as was anticipated—with the result that there has been noted a vacancy in scientific matters and it has been thought proper to permit another definition for purely scientific uses. This other definition of ore will cover the materials or aggregates of minerals from which gem stones and other valuable, but not metallic, substances are recovered. Let us recapitulate. An ore must be an aggregate or association of natural minerals, or a single mineral, from which metal may be profitably recovered. Mines are excavations in the earth from which ore, coal or gems are taken. Mining is the art or practice of operating mines. Throughout the subject, we see the inseparable idea of profit. The work of carrying on operations in a railroad tunnel is not mining; the driving of adits through barren rocks to reach ore bodies is not mining; the sinking of shafts through worthless "wash" or rocks with a view of opening avenues for the removal of ore is not mining. Mining is carried on only when ore is being produced. The wildcat practice of erecting small, temporary plants and digging prospect holes can be condemned as not being real mining. There is usually little question about the validity of a coal mining proposition, since "the goods show for themselves." Comparatively few cases of fraudulent ventures in coal properties are of record. The product of a coal mine is ready for market just as soon as it is loaded into railroad cars, the mining company receiving its pay, commonly, upon its own recorded weights. There is no freight to pay, no waiting for assays or analyses, and no settlements with mills or smelteries. There are not the allurements for getting rich quickly in coal mining that are so beguiling to the class of investors generally approached by the promoters of mines(?). This must not be construed as stating that nobody has ever been deceived in a coal mine proposition, for, indeed, there have been many failures; however, they have been due, chiefly, to auto-deception as to area, thickness or quality of the coal measures.